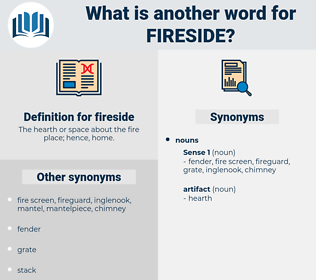 What is another word for fireside? 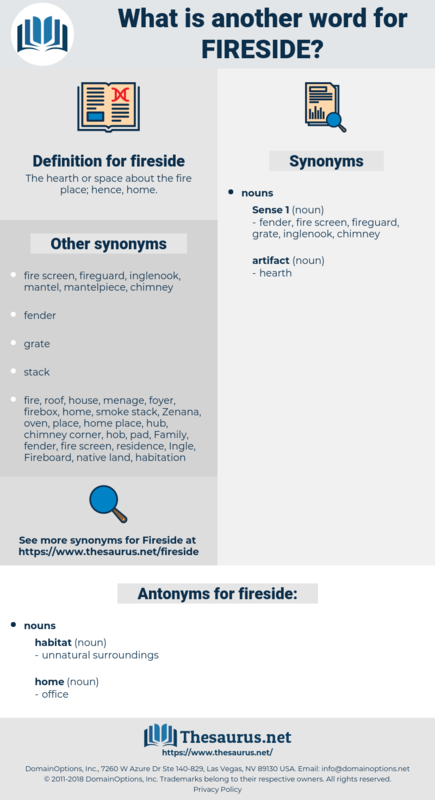 The hearth or space about the fire place; hence, home. Tenderly he led him to his own abandoned chair by the fireside, where he and his faithful wife chafed the old fellow's hands until warmth had returned to them. Kate was out; we sat alone in the parlour by the fireside. domicile, dwelling, dwelling house, habitation, home, abode.